..so they dance! 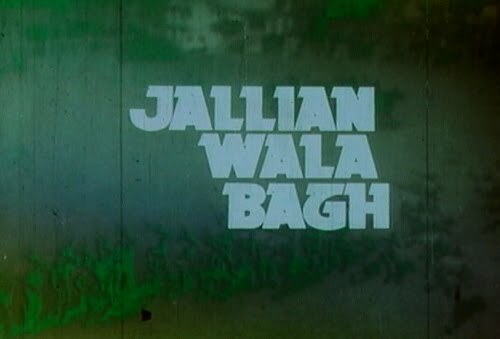 : Jallian Wala Bagh - meh. History lesson: Jallianwala Bagh was a square in Amritsar, which is nowadays synonymous with the bloodshed that took place there under colonial times in 1919. Hundreds of protesters (maybe even over a thousand, counts vary) were slaughtered by the British. Decades later in 1940 Udham Singh murdered Michael O'Dwyer, who was responsible for the orders to kill the protesters. Sigh: ...just kind of isn't. Everything feels very haphazardly put together, the characters barely connect, their relationships are fuzzy and even though some of the dialogues are full of accurate patriotic pathos, there is much, much bad acting, especially from the British cast who speak Hindi slower than a snail on sandpaper. I was especially disappointed in that the film had Shabana Azmi as a young woman who refused marriage until her country was free, (especially when she has a brilliant line about a bird starting to nest in a cage, ie. she doesn't want to begin a family in an India ruled by the Brits). 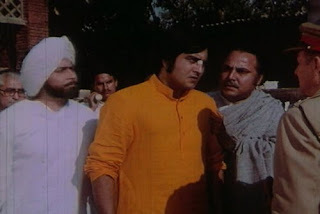 For one, she has no scenes with Vinod, and they are by far the best actors in this movie. And secondly, the script totally forgets she exists for the second half of the story. What the..?! Groan: I totally get why this subject was considered ripe for a film, but I feel like instead of nationalistic pathos they should've gone for more character development or exploring interesting themes (and as the film was written by Gulzar - though not directed by him - I know there was potential there). I don't object to the British being painted like the villains they are in this scenario, but a little ambiguity could've gone a long way when it came to the portrayal of Udham Singh - it's not like his actions were universally appreciated, even among Indian nationalists of the time. Blehhhh: It just feels like nobody's heart is in it. 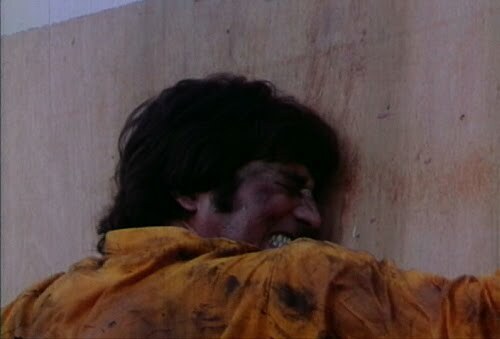 There is much bad acting, and even Vinod seems unenthusiastic (and there's too little of him! some of his early scenes are good stuff but .. so little of it!). I feel like I'm missing some juicy behind-the-scenes gossip here. Or then the film is simply incredibly lazily made, which it certainly looks like (budget looks small, lots of shots are totally out-of-focus) - like they thought that the nationalistic message is going to make up for the lack of an inspiring story, compelling characters, good acting etc. But: ..but maybe it is, my only problem is that I'm of the wrong nationality to get it. The massacre was understandably an awful, traumatic event - I would never make light of the fact. But I don't connect to it, because it's not "my people" getting killed. While it appeals to me on a general human level, I don't connect to it the way somebody with family from Amritsar would. Counter-but: But then, there's a reason why this movie isn't held high among the best patriotic movies ever or whatever. 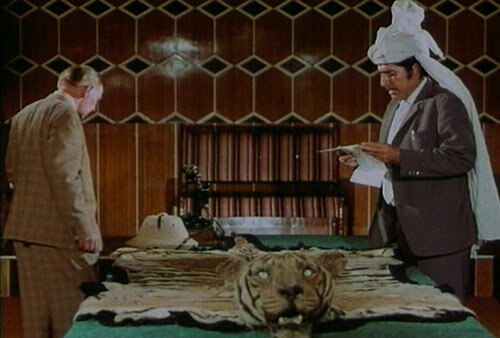 I mean, I only spotted it thanks to IMDb and only bought it because it had Shabana and Vinod. Probably not a single recommendation on the internet for this one. And that typically says something. Even if I don't always agree with the taste of the general public, bad films of the past are sometimes best forgotten. And this one was probably very much forgotten until some people such as myself spent our hard-earned money on the DVD of it and had to sit through it. Try not to repeat my mistake, yeah? PS. Even physical manpain didn't save this one. Seriously. Never even heard of this movie ! As far as your empathy goes, did "Gandhi"s sequence of the same event affect you the same way ? Because that was well done. I had no idea about the existence of this film, but am glad to know that I neednt bother hunting for it! Does Deepti Naval play VK's wife? I need to see this movie now.